Rupert Pupkin Speaks: Underrated '55 - Laura G ""
A MAN ALONE (Ray Milland, 1955) - I also included this film in my previous list of Underrated Westerns, but it's such a longtime favorite of mine I couldn't resist mentioning it again here, as it's not nearly as well known as it should be. 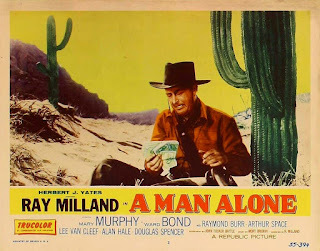 Ray Milland does a terrific job as both star and director, playing a gunslinger on the run who is wrongly accused of murdering a stagecoach full of passengers. I particularly admire the way Milland pulls off the first third of the film, which is close to a silent movie. For much of the movie Milland is hiding out in the quarantined home of the sheriff (Ward Bond); Milland and Mary Murphy, as the sheriff's daughter, make the most of a good script by John Tucker Battle, believably portraying a relationship which develops in a short period of time. The last section of the film includes a well-staged gun battle pitting Milland against villain Raymond Burr. 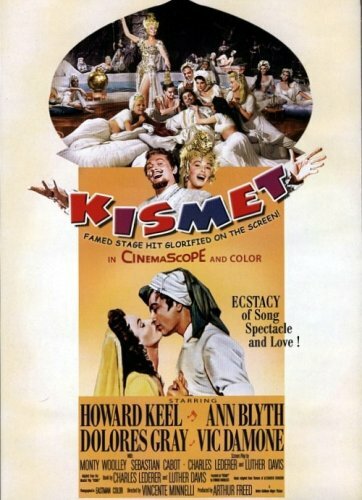 KISMET (Vincente Minnelli, 1955) - KISMET, starring Howard Keel, Ann Blyth, and Vic Damone, has long been one of the least admired MGM musicals, and indeed, I wasn't impressed myself when I first saw it a couple decades ago. However, when I saw it at the 2013 TCM Classic Film Festival I felt quite differently. The minute the gorgeous widescreen print started rolling and the beautiful overture started playing, I was very moved. While I still think director Minnelli could have done more with the film's visuals -- he was preoccupied with preparing LUST FOR LIFE -- I was swept away by the music and especially the excellent performances of Keel and Blyth, with Dolores Gray in strong support. When I returned to KISMET again last year on Blu-ray, I again thoroughly enjoyed it. I wish I'd appreciated it sooner, but it's never too late! Recommended for fans of musicals, and I especially hope those who have dismissed it in the past, as I once did, will give it a fresh look. KISMET is available on DVD and Blu-ray. STRATEGIC AIR COMMAND (Anthony Mann, 1955) - This may be the least regarded film of the impressive collaborations of James Stewart with director Mann, but I very much enjoyed it. One of the knocks on the film is that it's dull, but I didn't find it so at all; granted, I enjoy "procedural" type films, but I found the details on what was involved in defending our nation during the early years of the Cold War quite interesting. The aerial sequences are beautifully filmed and inspiring, and the film as a whole serves as a fascinating window into the '50s, from decor to automobiles to understanding the post-WWII mindset. And what a great supporting cast, with favorites like June Allyson, Frank Lovejoy, Harry Morgan, Rosemary DeCamp, and Bruce Bennett. Not on DVD, but it can be streamed via Amazon. 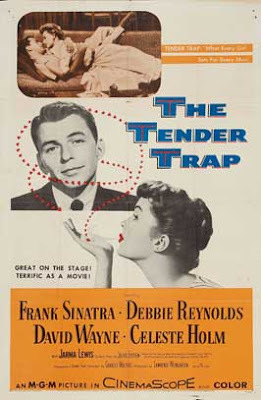 THE TENDER TRAP (Charles Walters, 1955) - THE TENDER TRAP begins with one of my favorite sequences in all of '50s cinema, as the impeccably dressed Frank Sinatra, backed by a clear blue sky, ambles toward the camera singing "You see a pair of laughing eyes..." It's an iconic moment in a movie which I've enjoyed countless times, yet I don't think it's received the recognition it deserves. On the surface it's a light romantic comedy about Charlie, a womanizing theatrical agent (Sinatra), and giddy singer Julie (Debbie Reynolds), yet there are more serious threads running underneath; Charlie's best friend (David Wayne) is having a midlife crisis and one of Charlie's girlfriends, Sylvia (the excellent Celeste Holm), is starting to wonder if she'll end up with a musical career but no true love. (Like STRATEGIC AIR COMMAND, THE TENDER TRAP also provides an interesting window into '50s attitudes regarding marriage and careers.) Director Walters makes the most of the script as the characters navigate their relationship problems, and he also ensures that they remain likeable despite their flaws. "Movie comfort food" at its best, this film never fails to engage and entertain. 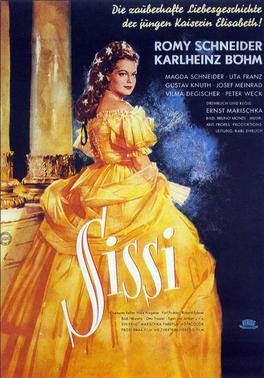 SISSI (Ernst Marischka, 1955) - Think of a German-language film which looks like a visual cross between Disney movies and THE SOUND OF MUSIC, and you end up with SISSI. SISSI is a charming film about the early years and marriage of Empress Elisabeth of Austria, nicknamed Sissi (Romy Schneider), and it's been a hit with anyone I've shared it with. The color location filming in Austria is absolutely stunning, and Schneider is delightful in the title role. Karlheinz Bohm plays Emperor Franz Josef, who is originally slated to marry Sissi's older sister but falls for the free-spirited Sissi instead, while Schneider's real-life mother Magda plays her mother onscreen. Two subsequent films, SISSI: THE YOUNG EMPRESS and SISSI: THE FATEFUL YEARS OF AN EMPRESS, continue the story, while FOREVER MY LOVE is an English-dubbed condensation of the movies; stick with the German originals. I wasn't at all sure you were going to find the time to chip in to this thread, Laura, but I am so glad you did. 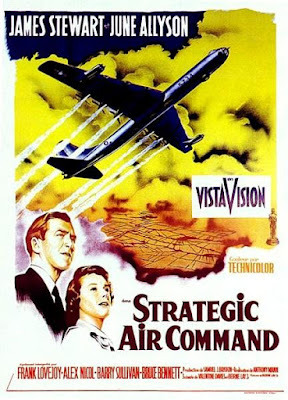 I agree with your feelings towards "STRATEGIC AIR COMMAND" - it is a fine movie and a story well told. I don't find it dull at all. Mind you I haven't seen it in a long time (not been on TV) and not on DVD. I wonder why not. Not familiar with 'SISSI' but it sounds appealing or rather more oddly with 'KISMET' either. Love 'THE TENDER TRAP'. A movie starring THE greatest song stylist is always going to be a hit with me. 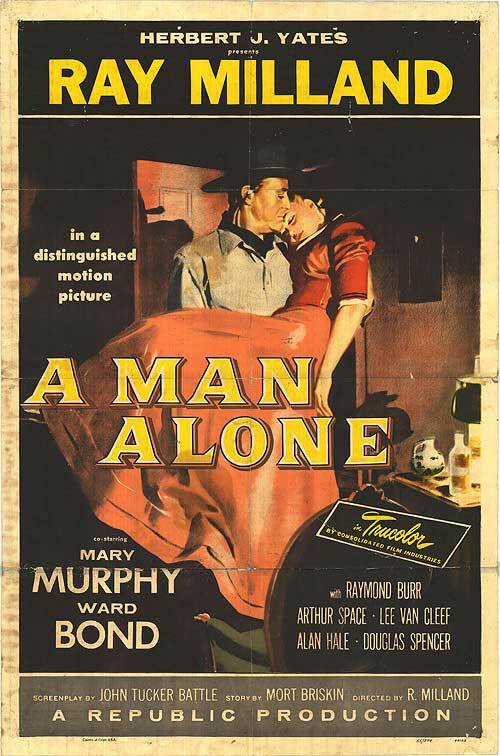 And then there is 'A MAN ALONE'. You're right - it is unfairly underrated. Milland did some really fine work here and the treatment is highly unusual and effective. So, great selection by you. Really enjoyed reading your reviews. Jerry, thanks so much for your comments! I'm glad to know someone else who really enjoys STRATEGIC AIR COMMAND. It's curious it's not out on DVD. Also very glad to know you strongly enjoy both THE TENDER TRAP and A MAN ALONE. Wonderful movies I have returned to time and again. If you get the chance to catch up with SISSI or KISMET I'd love to know your opinion. So nice to see someone pay attention to A MAN ALONE. I wrote on this in HEAD `EM OFF AT THE PASS! 94 WESTERNS YOU SHOULD WATCH. It so deserves a DVD release. The Sissi Trilogy may not be well known in the USA, but it is wildly popular in German speaking countries. other guys were on location in the middle of nowhere. Interesting choices here, Laura. I haven't seen all these but certainly endorse A Man Alone and The Tender Trap - always good to see some Sinatra included. Thanks so much for the feedback! Very glad to know the list was enjoyed and hope the additional positive feedback on some of the movies will encourage others to try them. I'm especially happy to hear that others appreciate A MAN ALONE. At one point Olive had planned to bring it out on DVD and then apparently the plans were dropped. Also good to hear from fans of THE TENDER TRAP! I couldn't count how many times I've seen that. Panavia, I've also been told the SISSI movies are popular in Brazil, they really seem to have an international following! I hope more viewers in the U.S. will become familiar with them, such enjoyable viewing. I also really liked Schneider's THE STORY OF VICKIE, a fanciful version of Queen Victoria's romance with Prince Albert. John, what a lovely James Stewart anecdote, just beautiful. Some great picks here. A Man Alone and Sissi look especially interesting, for different reasons. Thanks!